The ruling National People’s Party (NPP) in Meghalaya, will put all efforts to get Congress legislators in poll-bound Mizoram join the party, besides getting other parties including the Mizo National Front (MNF) work together to form the government after the Assembly polls. The term of the 40-member Mizoram Legislative Assembly constituted on December 16, 2013 will expire onDecember 15, this year. 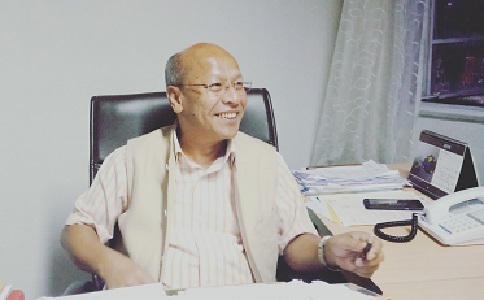 Meghalaya Deputy Chief Minister and NPP leader Prestone Tynsong told reporters that he had visited poll-bound Mizoram a few days ago and met some Congress leaders there, besides leaders of other political parties to impress upon them the need to work together. “The talk is on and I cannot divulge much. Let us see from now. I met few Congress MLAs in Mizoram. I also met the MNF chief Zoramthanga and we sat down and discussed about the upcoming elections. I told them that we are going to establish our NPP party in Mizoram too. Though we were a little late, but I am sure we will be able to do something in the upcoming elections. I also requested them why not also join the NPP. As of now NPP is the best party which is very eco-friendly because our ideology is to bring in united Northeastern states and protect the interest of our tribal people, make sure their beliefs, religion, caste are fully protected. Our presence has already been felt in Nagaland, Meghalaya and Arunachal Pradesh and now our venture is in Mizoram,” Tynsong said. Zoramthanga was the fifth chief minister of Mizoram from December 1998 to December 2008, for two consecutive terms. “Post poll alliance is inevitable in case if there is any hung Assembly. It has to be there, otherwise, nobody will be able to form the government,” he said.